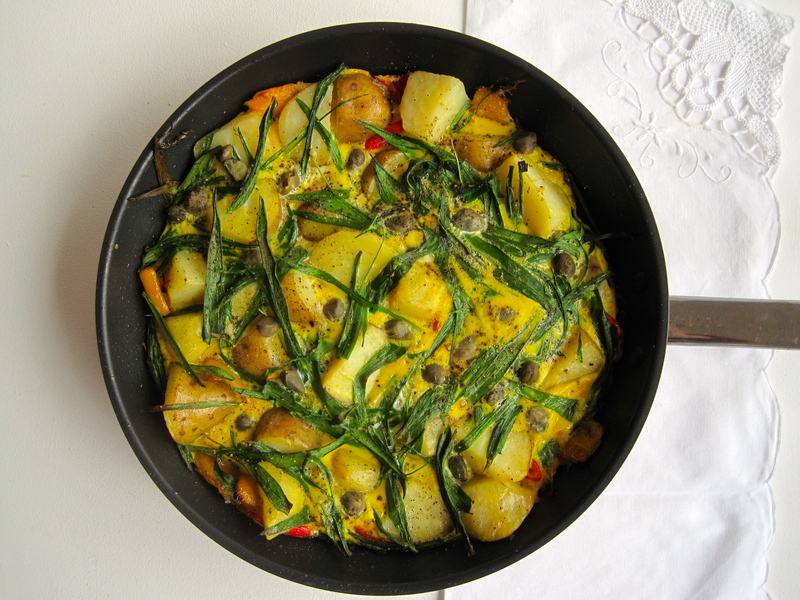 This is basically a glorified omelette, but probably even easier to make than omelette! You can’t really go wrong if you use a non-stick frying pan, you don’t turn it over or anything weird like that and it’s a great warming Spring time dinner. 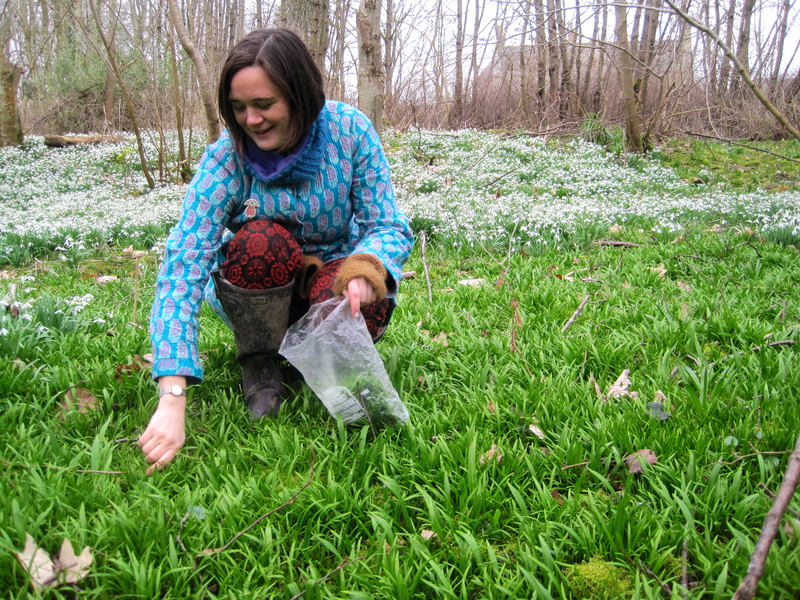 The wild garlic is kept as fresh as possible and adds a subtle flavour, matched really well by the acidity of the capers. 1. Preheat the grill! 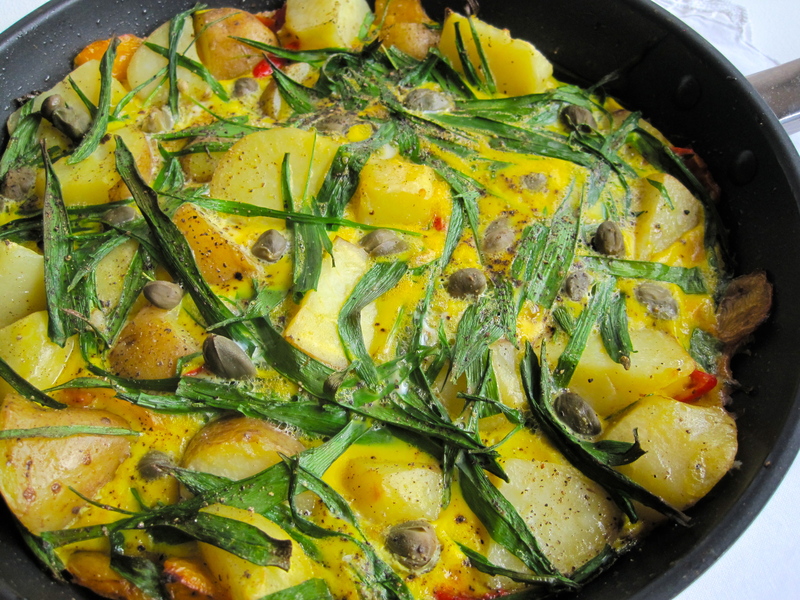 Heat a little olive oil in a frying pan and add the cooked potato and pepper. 2. In a bowl, beat together the eggs with a whisk and season with the salt. 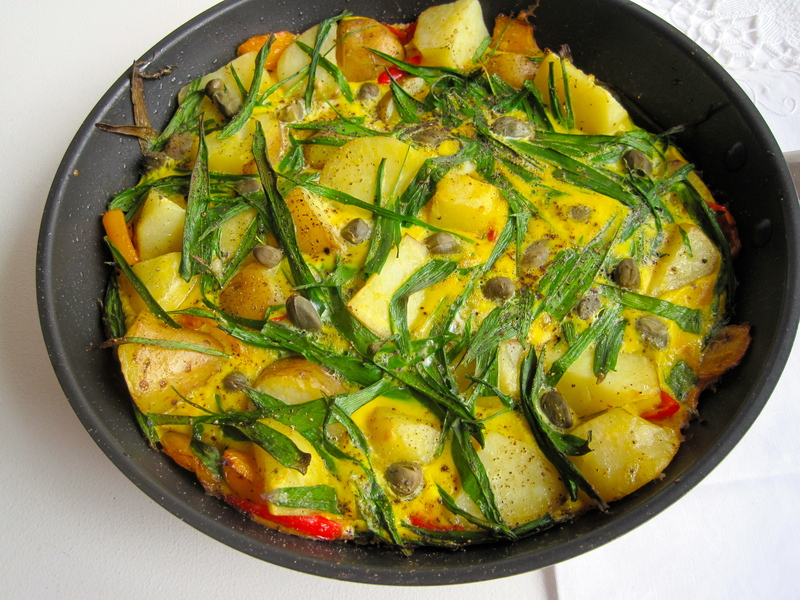 Add the wild garlic leaves to the eggs, and pour over the potato and pepper in the pan, tipping the pan up to make sure the eggs are well spread over the whole base. Sprinkle the capers on top and grind some black pepper over the whole thing. 3. Leave to cook on a medium heat for around 5-10 minutes until the base is setting and colouring. Then transfer to the grill and leave to cook for a further 5-10 minutes until the top has a nice golden colour and the egg is all set!